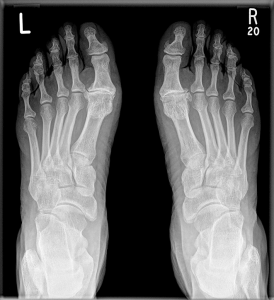 Hallux rigidus is a degenerative condition of the first metatarsophalangeal (MTP) joint of the great toe. It is characterised by progressive loss of motion, particularly dorsiflexion. This, along with osteophyte formation, results in pain and stiffness. The condition tends to affect patients in the fourth and fifth decades and, when severe, can result in significant disability . Plain radiographs are the investigation of choice, along with clinical examination to establish the diagnosis. Radiological appearances are varied: dorsal osteophytes are primarily the sole finding in early stage disease, with progression to significant joint space narrowing, periarticular cystic changes and involvement of sesamoids as the disease progresses (Figure 1). 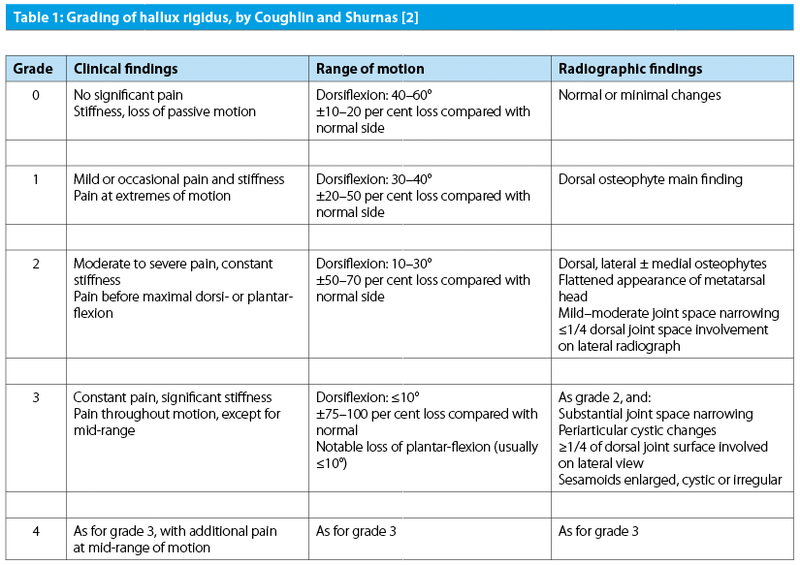 A classification system described by Coughlin and Shurnas in 2003 uses a combination of clinical and radiological findings and is a commonly used tool for grading the severity of disease (Table1) . In addition to the stage of disease, the extent of any associated deformity, and patients’ age and activity level are also considered when deciding on surgical treatment. Traditionally, mild to moderate disease has been treated with cheilectomy or osteotomy, with more severe cases being treated with arthrodesis . More recently, treatment using joint replacement, either by means of hemiarthroplasty or total arthroplasty of the MTP joint, is becoming an increasingly popular option for patients with advanced disease. 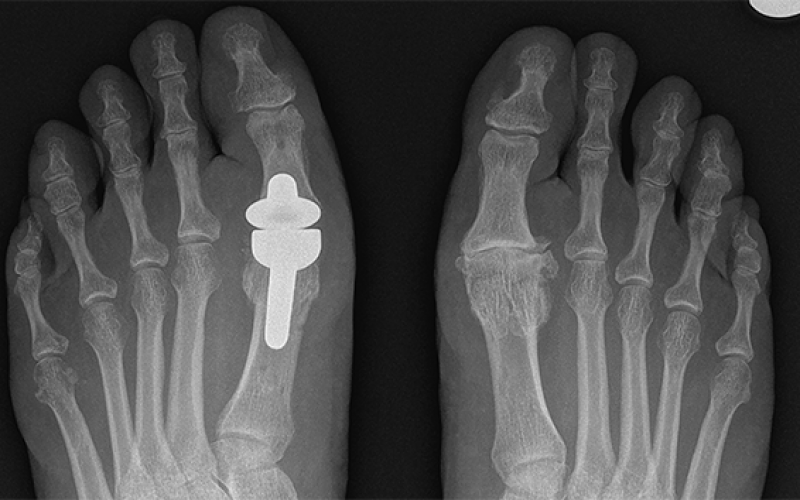 There are numerous implants available for use in hallux rigidus with varying designs, including hemiarthroplasty and total arthroplasty. 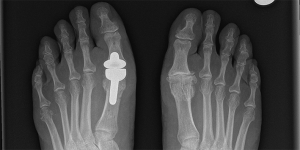 The aim of this article is to provide an overview of the use of arthroplasty for hallux rigidus and the various prostheses available. Arthroplasty of the first MTP joint was initially developed in the 1950s as an alternative surgical option to arthrodesis. Initial optimism for this new surgery led to its increased use, without adequate understanding of implant designs or choice of materials, and lack of appreciation for the importance of patient selection . Initial outcomes of these early prosthesis designs were promising; however, as time progressed it became apparent that the complex mechanical demands of the first MTP joint resulted in certain implant materials or designs having poor medium- to long-term outcomes. Since then, there has been constant development of designs and alterations in materials used in these implants as knowledge improves and more long-term data has become available [4–7]. 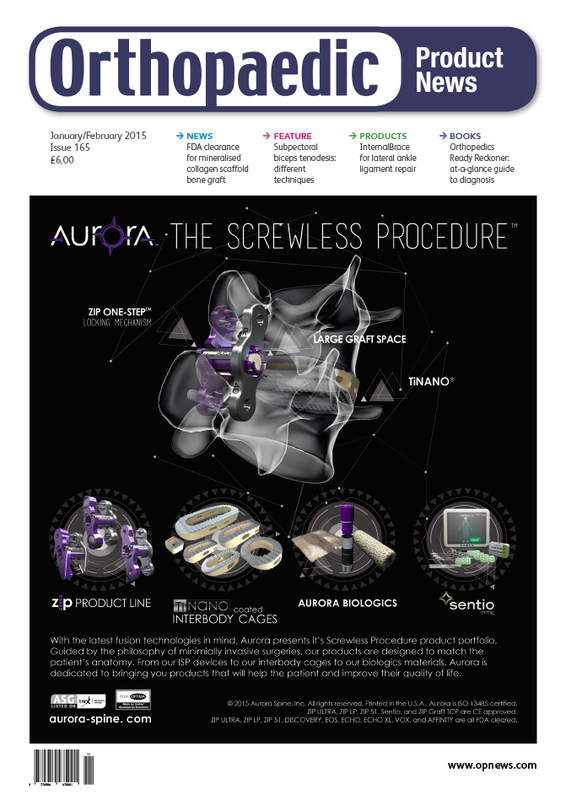 The evolution of MTP joint arthroplasty designs has resulted in implants being grouped into four generations . The initial first-generation implants were silicone, but material-related problems, including synovitis and reactive lymphadenopathy, were recognised. This led to the development of second-generation implants, with improved silicone material and the addition of grommets to the surfaces . Despite this development, silicone implants still had overall lower rates of patient satisfaction and poor longer-term outcomes, with failure occurring secondary to wear, osteolysis, foreign-body immune response, fracture and displacement of components . Due to ongoing material-related problems with silicone prostheses, the third generation saw the introduction of metallic implants with a press fit design . Although the material had improved, the cortical bearing mechanism led to loosening due to high dorsally directed pressures across the metatarsal component of the prosthesis during the toe-off phase of gait [9,11]. 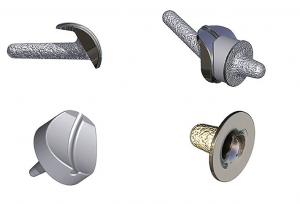 The most recent fourth-generation implants have therefore seen the addition of stems to attempt to counteract the shear forces acting on the implant, with the aim of reducing the overall incidence of loosening. MTP joint replacement continues to gain popularity as it offers pain relief, but also maintains range of motion (Figure 2); this is the main biomechanical advantage over arthrodesis for hallux rigidus. A mobile first MTP joint allows normal gait pattern, reduces impact and assists in balance and normal stance. Reduction in mobility of the joint can alter any of these factors, making activity more difficult, and can contribute to degenerative changes of neighbouring joints . Despite the advantages over arthrodesis and advances in implant design, complications requiring revision surgery still remain; persistent pain, loosening, subsidence and malalignment appear to be the most commonly encountered mid- to long-term problems with these implants. There are numerous implants available on the market, with various bearing surfaces and designs, each with their individual merits and highly variable outcome data. Table 2 summarises some commonly used implants and their characteristics. As data and outcomes have continued to improve with more advanced designs and better knowledge of the importance of patient selection, national guidelines regarding the use of MTP joint replacement have emerged. 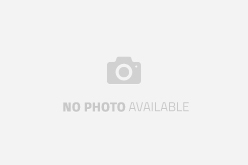 In 2005, the National Institute for Health and Care Excellence (NICE) published guidance, recognising MTP joint replacement as a safe treatment option for patients with hallux rigidus . 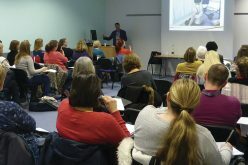 They have also emphasised the importance of patient selection – taking into account the patient’s level and intensity of activity –before deciding on proceeding with replacement over arthrodesis. There has been a recognition that long-term data is lacking, and this should be discussed with patients when reaching a decision regarding the best type of surgical intervention. More research is needed with long-term outcome publications prior to the implementation of more robust guidelines. In our centre, we have experience with several of the above-mentioned implants, the majority of which have promising initial outcome data. 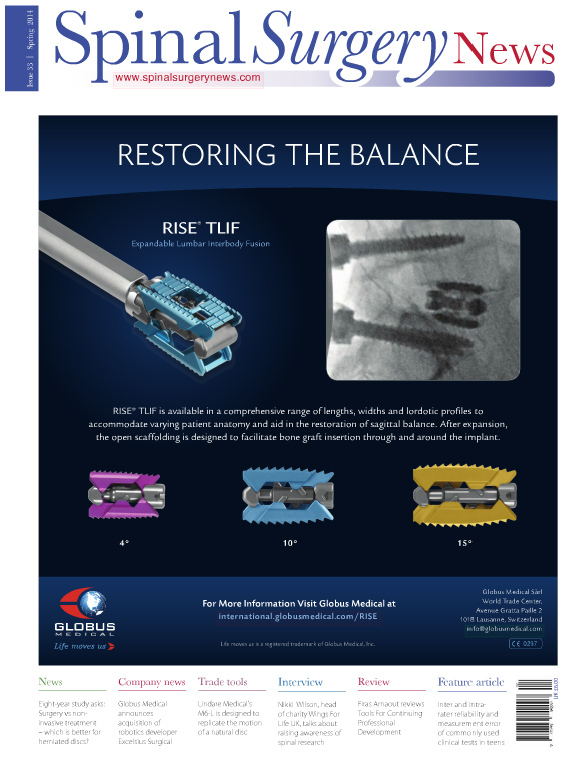 The device most commonly used in our institution is the Roto-glide™ total arthroplasty system. 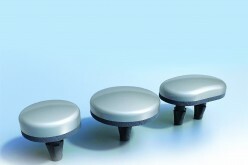 Roto-glide is a three-part, non-constrained, metal-on-polyethylene implant which incorporates a rotating meniscus to allow increased movement, and is thought to be the device of choice throughout Europe (Figure 3) . It is thought that the Roto-glide design is the only viable design principle that can effectively cope with the toe-off forces that have previously been one of the principal flaws of all fixed bearing designs. It also allows free rotation in the MTP joint, enabling the toe to match any ground surface. The system was first launched in 1999 in Denmark and used in the UK from 2002 onwards; the design has remained unchanged since 2000. This system was designed and developed by Implants International Ltd, an independent, UK-based bioengineering company. 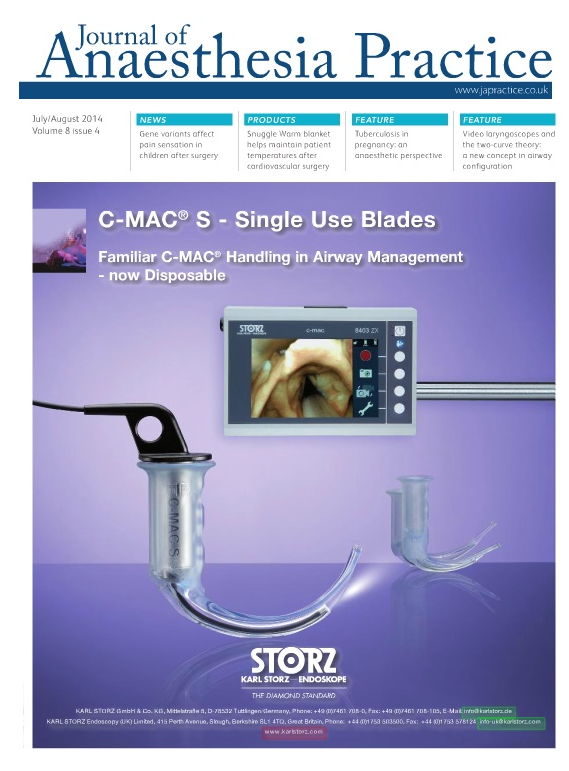 Roto-glide is bone preserving when used for primary arthroplasty. 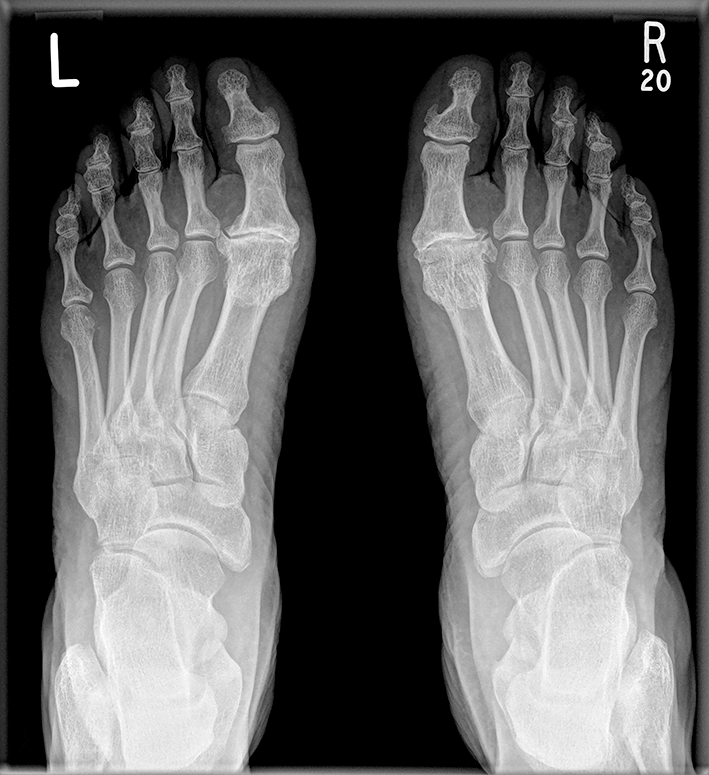 The metatarsal bone is resected in a similar way to cheilectomy with approximately 5–6 millimetres from the distal surface of the metatarsal head; 2–3 millimetres from the base of the phalanx is resected tangentially. The design does not interfere with the sesamoid-metatarsal junction. Our provisional clinical data has shown positive results, with all of our patients having significant improvements in their functional scores at out-patient follow-up. We are currently in the process of compiling mid-term clinical and radiological outcomes of 32 patients; the provisional data is promising with no significant implant-related problems. At present, our mean duration of follow-up is 16.6 months (range 5 to 30 months) post-operatively. One patient developed superficial infection, with prompt resolution following a short course of oral antibiotics. 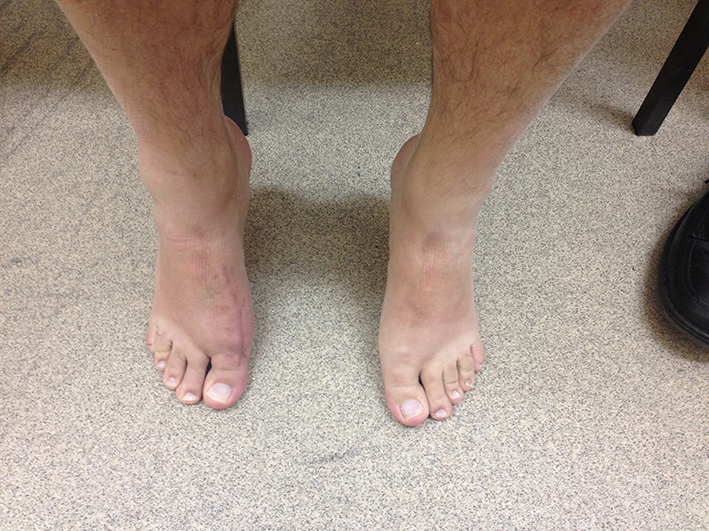 Another patient in our cohort has required revision due to the development of hallux valgus post-operatively. Existing clinical data for this implant has also shown excellent mid- to long-term results [13,19]. Figure 4 demonstrates the pre- and post-operative imaging of one of our patients. This is a 58-year-old female who underwent a left-sided replacement using the Roto-glide prosthesis for severe hallux rigidus. American Orthopaedic Foot and Ankle Association Score (AOFAS) improved from 58 to 85 post-operatively; the woman remains very satisfied with the results of the procedure and has since undergone the same procedure on the contra-lateral side. MTP joint replacement is gaining popularity in the treatment of hallux rigidus. It provides pain relief while maintaining range of motion. There are numerous implants available on the market, each with their individual problems and merits. At present, short-to mid-term data is promising for newer generation devices; however, problems still remain with loosening, subsidence and malalignment. 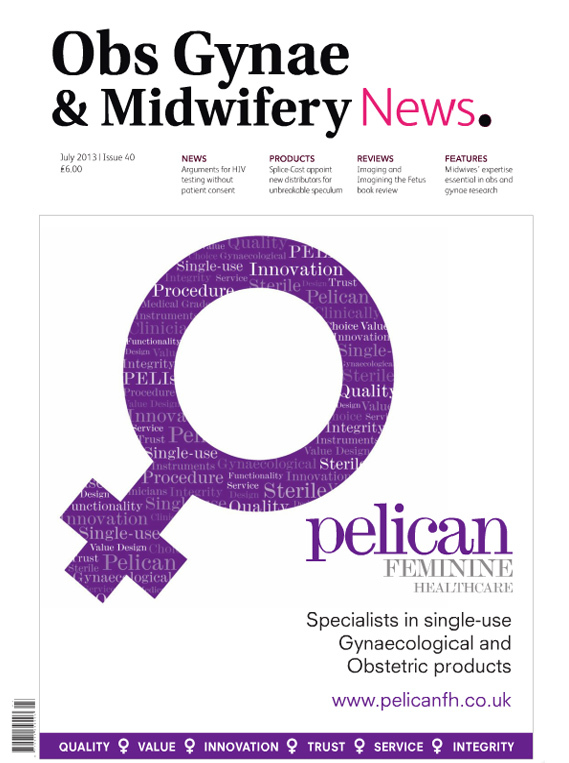 Long-term data and randomised controlled trials are lacking. More research and higher-level evidence are needed in order to allow surgeons to make an informed decision on which is the best implant for their patients. Maire-Clare Killen graduated from the University of Manchester in 2010. She is about to commence orthopaedic speciality training in the Northern Deanery, starting in a foot and ankle rotation. Maire-Clare is currently undertaking an MSc, evaluating treatment of spontaneous osteonecrosis of the knee. Liam McEntee graduated from Newcastle University in 2013 and recently completed foundation training in the Northern Deanery. He is about to start at Newcastle’s RVI rotating in neurosurgery, orthopaedics and as an anatomy demonstrator. Liam is a keen rugby player and hopes to pursue an orthopaedic career specialising in sports trauma. 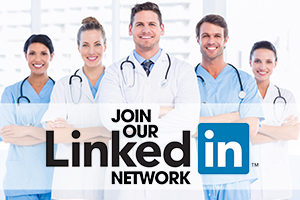 Prasad Karpe completed his medical and postgraduate degree in Orthopaedics at Goa University, India. He has completed four years of spine fellowships in India and UK and is currently a foot and ankle fellow at North Tees NHS Trust, UK. He is also a member and fellow of the Royal College of Edinburgh. Rajiv Limaye is a consultant orthopaedic and trauma surgeon at University Hospital North Tees with over 20 years of surgical experience. His practice is specialised in dealing in disorders of the foot and ankle, including arthroscopic sports injuries. He regularly treats sports enthusiasts to return to their highest level of activities. His special interest includes bunion surgery using MIS surgery. He has also developed a unit with a multi-centre study on joint replacements of the big toe. Limaye works and acts as an examiner for the Royal Colleges of Surgeons of England and Edinburgh. He supervises trainees and has been a faculty member at various international courses and symposia. Mohan Emmanuel is CEO at Implants International. Clinical value of SPECT/CT for evaluation of patients with painful knees after total knee arthroplasty – a new dimension of diagnostics?